Tight Buffer Line Overview | Tensor Machinery Ltd. The tight buffer line extrudes a plastic jacket over a bare optic fiber. The line consists of a fiber pay-off, a preheater, extruder, water trough, capstan, and take-up. 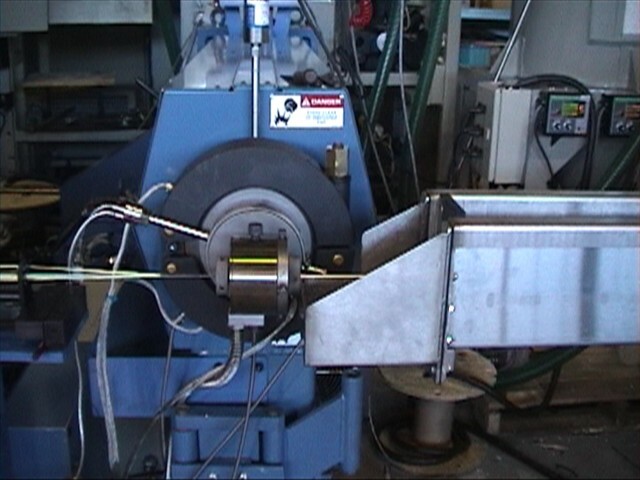 In some cases the there is a fiber accumulator when a manual change take-up is used so that the operator has time to change reels while the line is running. The line is controlled by Tensors modern Control Systems. For more information please contact us.